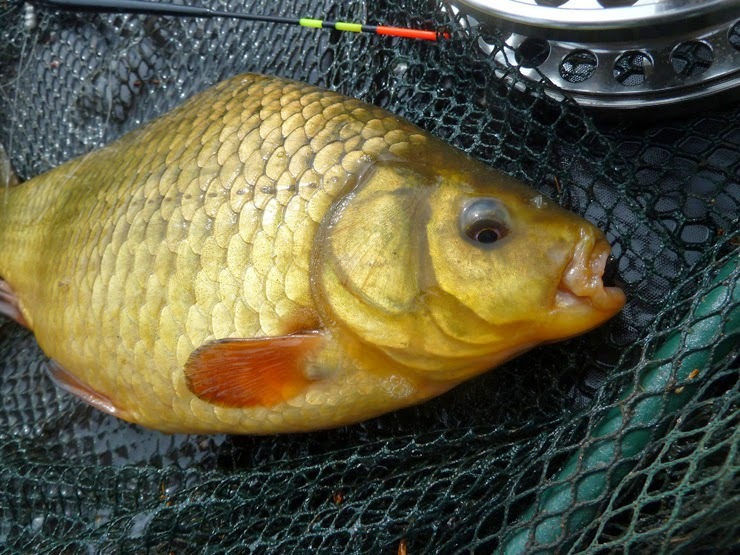 Work had scuppered my plan to fish every 2 weeks of the closed season, so my aim was to catch 30lb of fish from this trip to Marsh Farm, 10lb for each week since I last fished. Fishing match tactics (but with a centerpin), 3.5lb line, size 16 hook, maggots for bait, targeting the tench and bream, and who knows perhaps even a crucian. 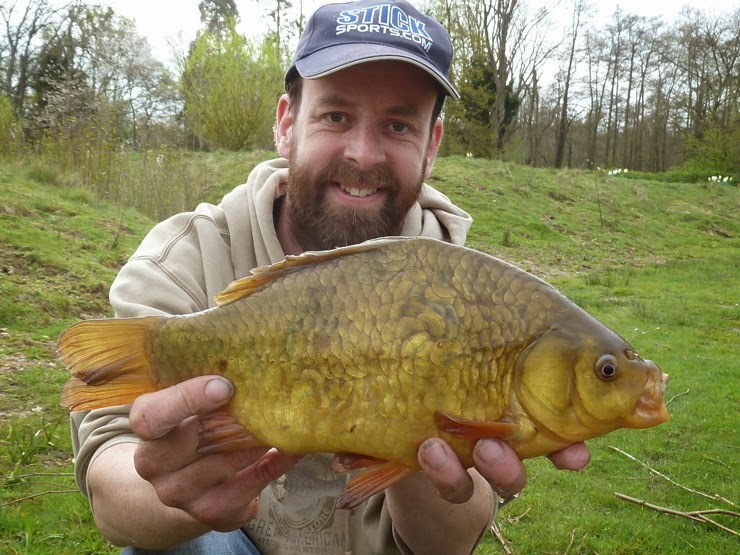 I was soon in to the skimmers and a tench early on signaled it was going to be a good day! I built a big shoal of fish infront of me and they stayed there all day. The wind was a pain, but back-shotting the float helped with presentation and soon it was non-stop action. One fish I'd never caught before was a crucian and I was worried I might miss their legendary micro-bites, but the first one ripped the float under and I'd got one. 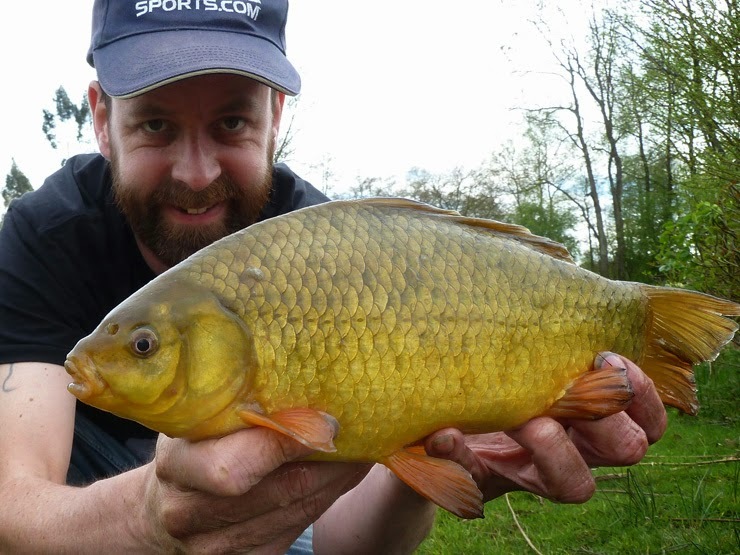 My first crucian 1lb 12oz, the icing on the cake! The next crucian did take very delicately, but once I got my eye in I was more confident with hitting the bites. 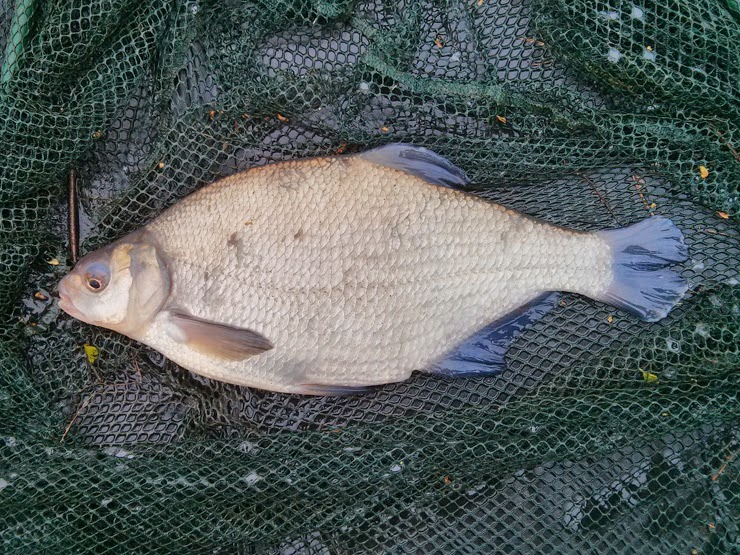 I had a total of 14 crucians throughout the day and upped my new PB to 2lb 9oz, a beautiful fish. Biggest bream was 1lb 10oz, with most between 6-10oz, the best roach was about 10oz with several others around the 8oz mark and a bunch of small ones. About 10lb of silvers and skimmers, perhaps a bit more. All in it was a 100lb day, brilliant stuff! I was absolutely over the moon (and a bit knackered)... Can't wait to go back... Got my sights set on a three pound crucian! 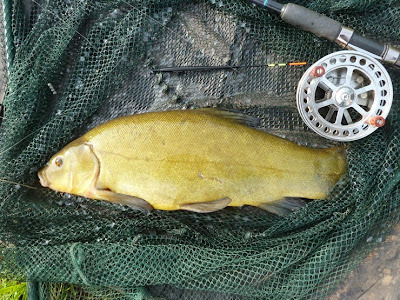 I'm a tench fan... These fish fight. 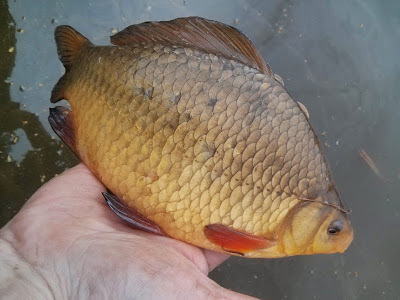 My first ever crucian... Love at first sight! 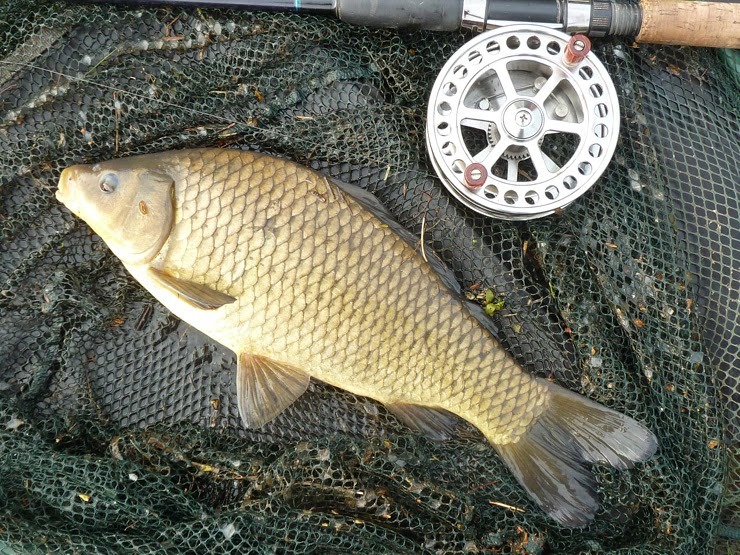 First carp of the day. Smallest of the bunch - but still fantastic! 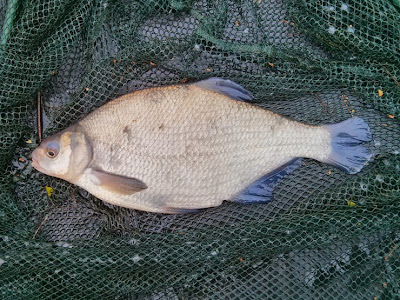 The biggest bream at 1lb 10oz. 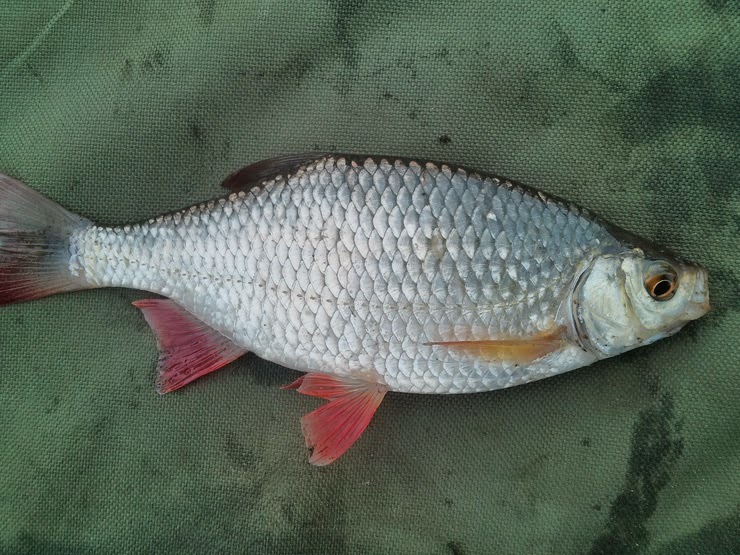 Not the biggest roach, but they kept me busy. The biggest carp of the day. 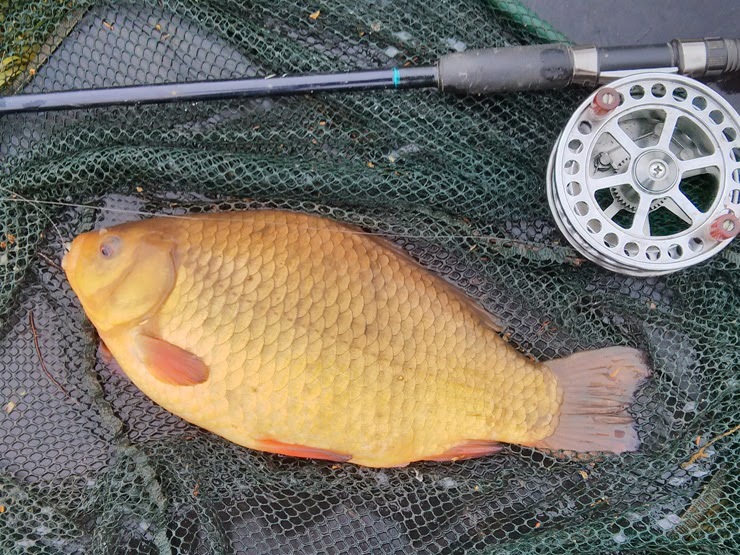 Person best crucian 2lb 9oz, what a start! 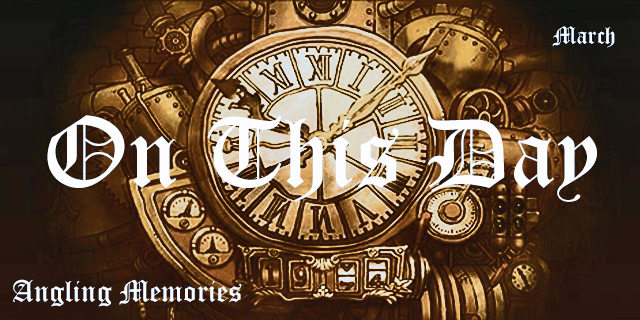 What an amazing day. Well done. Cheers, absolutely cracking day... Going to have another blast this weekend. Thanks, crucians and tench are new to me, what brilliant fish! 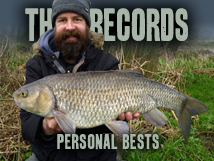 Great session Brian, makes me want to go back again. 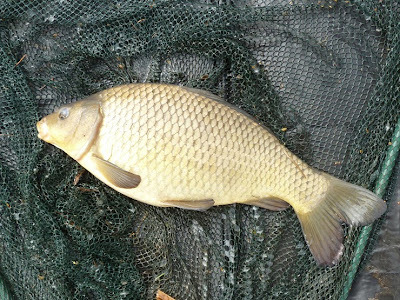 Crucians like that are worth the long journey though. Best session in a long time. It's only about an hour from my front door, two train journeys, so I'm planning a few trips there this closed season.